Seamgen is kicking your week off right with another San Diego startup of the week. As you probably know, we love to highlight the growing technology companies that are popping up all across our beloved city. 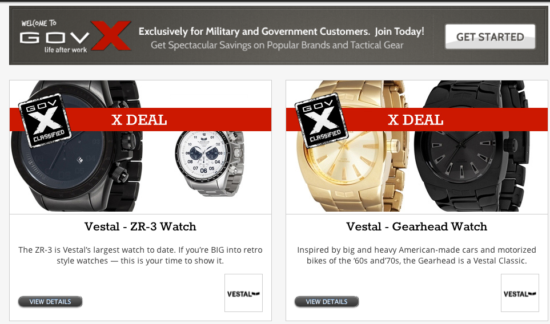 In this week’s edition, we are featuring GovX, an e-commerce company exclusively for active duty, reserve, and retired members of the U.S. Armed Forces and related government agencies. Why did we choose GovX? In only two rounds of funding, the company managed to raise a total of $15.23 million. That’s right, 15 million dollars. The past five years, GovX has been able to create an e-commerce marketplace used by over 2.5 million individuals. They have grown their merchandise revenue from $400,000 in 2011 to $30 million in 2016, with a total of 200,000 products and around 300 premium brand partners. GovX is extremely simple. It’s like Amazon.com for current and former U.S. soldiers and government employees. Membership and eligibility is quickly confirmed through GovX’s proprietary online verification system. Oh, and the nice thing is that membership is completely free! Once you are a confirmed member, you have access to thousands of discounts that range from 50% – 70% off, from brands such as Oakley and North Face. They also have amazing discounts on concerts and sports tickets, partnering with the NFL and MLB. GovX was first founded in 2011 by Marc Van Buskirk, Shannon Van Buskirk, and Anthony Farwell. Two of the founders were involved in a prior startup called US Standard One. 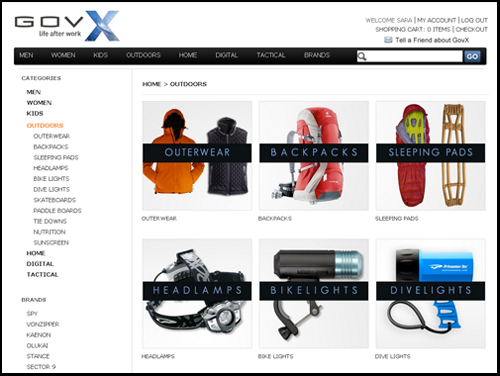 This company focused on their e-commerce web site that offered Oakley Tactical products. Eventually US Standard One was acquired by Oakley due to its popularity. From there, the concept of GovX emerged, and the founders have remained busy ever since. GovX recently hired a new CEO Alan Cole, who is committed to exploring GovX’s full potential. The incoming CEO has a plethora of high-level experience in growing e-commerce based sites; at Seamgen, we believe he is going to expand the company in the right direction. In the near future, GovX looks to offer a special travel portal similar to Priceline, but with better discounts for their members. The company is currently working on special rates with hotel chains, as well as a division at Priceline to get wholesale rates for the GovX member base. Come back next week to find out our next feature for San Diego Startup of the Week. Interested in partnering with a local, successful web and mobile app development company? Check out all the services we offer at Seamgen!